1. This contest is open to all followers/fans of www.eqbalzack.com. 2. Contest starts 8 August 2012 (Wednesday) and ends on 12 August 2012 (Sunday), 11:59 pm. 3. All entries received after 12 August 2012, 11:59 pm will not be entertained. 4. 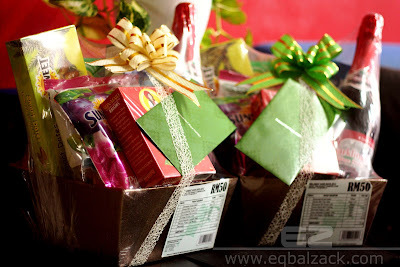 Winners list will be posted on www.eqbalzack.com by 14 August 2012 (Tuesday, 10.00 am). 5. Blog about this contest (tag at least 1 blogger) on your blog with a link back to this post. 6. Ucapan Selamat Hari Raya to Eqbal Zack in Bahasa Melayu or Bahasa Inggeris should be submitted via CONTACT FORM within this site. It is better to use a CONTACT FORM for this purpose to avoid plagiarism. 7. Winners will be selected based on the most creative message (no more than 50 words). 8. Hamper cannot be exchanged for cash.